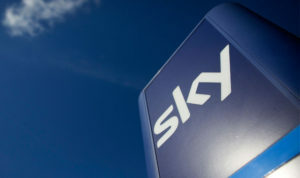 Sky UK are the leading pay-TV broadcaster and the second largest broadband provider in the UK, they also offer a wide array of products and services including online gambling. If you wish to speak to a member of the Sky UK customer service team then call: 0330 041 2529, or freephone: 0800 151 2747 . Given the scale of Sky UK and their wide array of products and services it is not surprising that navigating the contact section on their website is a little complicated for customers wishing to locate the number that matches their query. This problem can lead to time wasted when needing to get a problem resolved quickly. Therefore we have scoured their website, extracting their telephone contact details and then divided them into categories each with the relevant contact details for your specific enquiry. We have also listed general numbers such as complaints and a telephone number to notify Sky if you move home. The following numbers are 03 numbers which are charged at the same rate as calls to geographic numbers and are included in most mobile phone bundles packages. If you are with Sky Talk then calls to any of the numbers below will be free of charge. Typical costs for calls to these numbers are between 10-12 pence per minute from a landline. All of the 0330 number in the list below are for existing customers of Sky TV. Once a customer of Sky Broadband you may wish to contact them to speak about purchasing or upgrading to one of the following products. If you are experiencing problems with or would like to cancel or downgrade your Sky Broadband account then the following numbers will be of use to you. Sky Cinema is a popular Sky TV subscription package which features access to 11 channels dedicated to film. These channels range from the classic to newly released blockbusters. Sky customers also have the option of renting or buying movies by clicking on the Sky Cinema section of the Sky website and searching for a movie. Customers who experience difficulties connecting to one or all of the channels on their Sky Cinema subscription or who have difficulties downloading a movie should phone Sky Cinema on 0344 241 1653 for technical support.